Madcap England 'Beatty' Men's 1960s Mod V-neck Tank Top. Part of the 'Kings of Cool' Collection, this simple Retro Tank Top is ideal for layering over shirts and polos for that refined and debonair Mod edge. A timeless style in a clean, sharp and classic colour way - 'Beatty' Men's Tank Top by Madcap England. 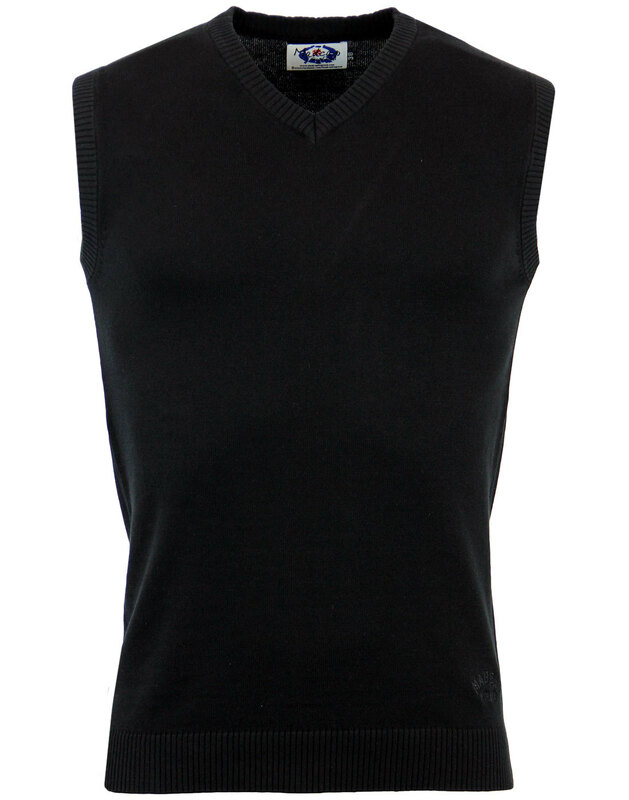 Madcap England 'Beatty' Men's Sixties Mod knitted V-neck Tank Top in classic black. Traditional ribbed V-neck detailing. Tonal branding to the lower left side, just above the ribbed hem. This simple sleeveless style features ribbed armholes and is crafted from soft cotton. A true Retro Clothing classic with more than a hint of good ol' Indie charm. 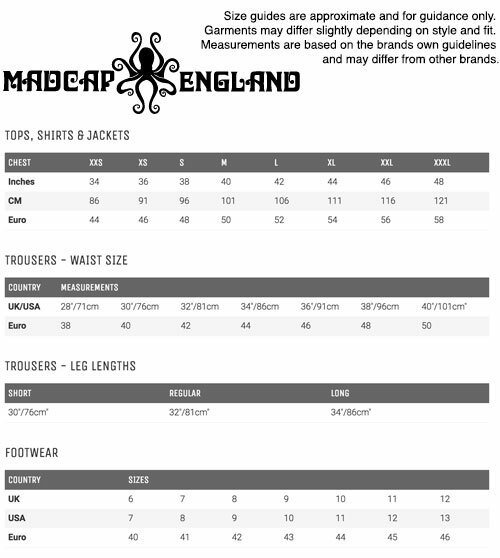 The Madcap England 'Beatty' Men's Mod Tank Top is sure to be a valuable addition to your wardrobe. Part of the Kings of Cool Collection. Key Points: Madcap England V-neck knitted tank top with ribbed trims. Tonal signature embroidery to lower left side. Care: Machine wash lukewarm. Pelase refer to garment care label. SKU: MC266 Beatty Tank Top.